As the season is drawing to a close we will be having our famous end of season SALE, there will be many bargains to be had, many items will be reduced by as much as 60%! Last year we sold about a third of all the sale stock on the morning that the sale started - here is a photo from last year of our customers grabbing some bargains off the £15 sale rail! 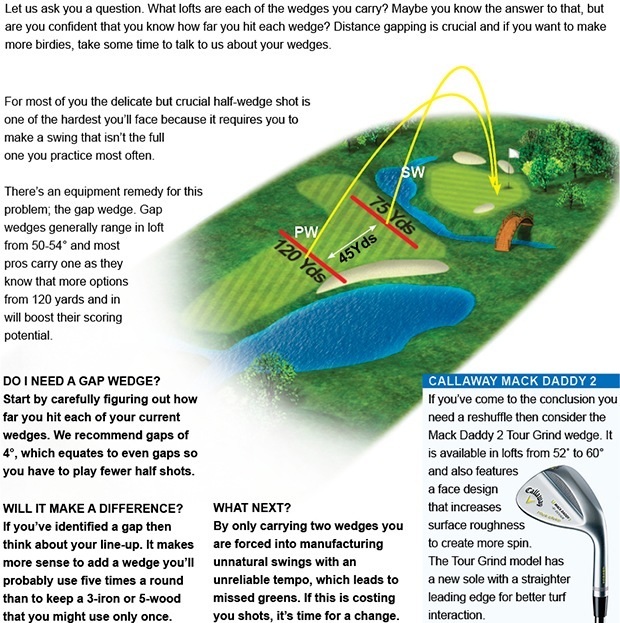 "The third hole can cause many problems for golfers and it is stroke index one for a reason - there is a great deal of trouble all the way up the hole, but I am sure that with the right strategy and club selection it is possible for any golfer to par this hole. On the tee I want your focus to be on a specific spot in the fairway - it might be a tree in the distance or the corner of a bunker or just pick a spot in front of your ball to aim your shot over, but rather than just aiming to hit the fairway you should be very positive with picking your target - this will really narrow your focus to hitting your target and it will also make you forget about any potential trouble from the tee. Once you have picked a specific target you want to use a club that will get you around 200-220 yards down the fairway to leave you on the flat part of the third fairway, I normally just use a 4 iron off the tee to play for position. If your tee shot goes wrong and you find yourself out of position don't be a hero even if it means chipping your ball out on to the flat part of the fairway you can then carry on with your game plan. The second shot is again all about position, just like the tee shot I want you to pick a target up the right side of the fairway and use enough club that will get you over the gully that runs down the left side of the fairway. Again if you pick a specific target spot you will be surprised how accurate your shots can be, once you have hit the fairway with your second shot you should have around 100 yards to the green for your approach. Make sure you check if the flag is on the front or back level of the green, this will affect your club selection, and again the focus should be on the right part of the green well away from the trouble on the left. You won't hit the perfect shot every time but if you get into trouble just stick to your game plan and get yourself back into position and take your punishment - remember the third hole is stroke index one so even lowest handicappers are expected to bogey the hole more often than not! The third hole again should be viewed from behind the green when you finish this gives you a different view of the hole and it may show areas where you could play the hole better next time, as ever let me know how you get on"
We have TaylorMade fitting day today from 3pm-8pm. 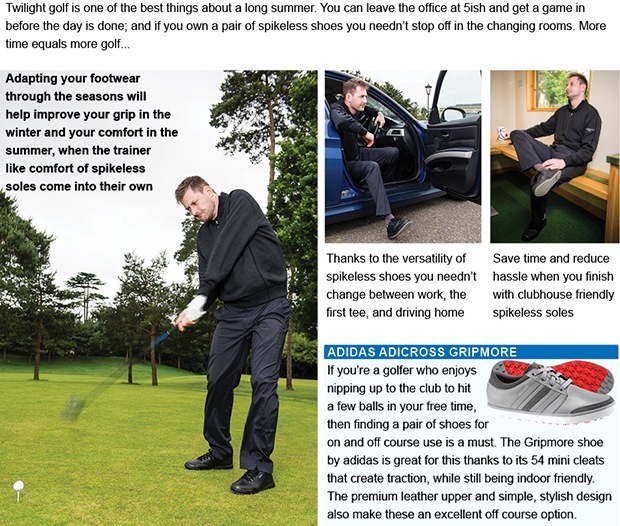 During these times Jamie Guy from TaylorMade golf will be on hand to give you a full FREE fitting using his FlightScope launch monitor on any of the TaylorMade clubs range, whether its a set of irons, a driver or even something like a wedge. We still have slots available at 3pm, 4.30pm, 6pm and 6.30pm if you want to book one of these times just let me know. Please click here to book one of these last slots. The Junior Club Championship was played last Sunday and the winner was fourteen year old Joe Wilson, who shot a nett 68 off his eleven handicap - he had two birdies on the back nine and played the last nine holes in one over gross. Javier Lang was in second place with a nett 77 and in third was Kieran Underwood also on nett 77. Ben Barrow won best gross with 45 in the nine hole category off the red tees and Matthew Dee won the best nett prize with 32 off the blue tees. The summers junior Order of Merit was won by Ben Barrow in the nine hole division and Kieran Underwood in the 18 hole division. You can book your child on to any of these sessions by contacting Adam on 07702736896 or you can contact me by clicking here. Ann Rowland won the ladies 18 hole Stableford on Thursday with 38 points, the highlight of her round was a birdie three on the fourth hole. In second place was Kath Hough with 37 points and in third was Sandra Peake on 35 points. A mention also for Jean Clare who played really well and scored 41 points but unfortunately there was a mistake on her scorecard which meant she was disqualified, as a consolation her handicap has dropped two shots to 32. Here are a couple of photos from the recent lady Captain's away day at Breadsell Priory. The next ladies competition is an 18 hole Stableford this Sunday with a 1pm start. There was another good turn out of 34 senior golfers on Tuesday morning, they played a texas scramble and the winning team of four were seniors Captain Graham Bower, Keith Morrish, Reg Drew and Mike Eddison with a fantastic nett 23 for nine holes. Next Tuesday is the Seniors Club Championship, played over 18 holes, it would be great to see another big field for this honours board competition. We're delighted to bring you details of our Annual Customer Survey that we'd encourage you all to complete when you have a spare few moments. Do so and you'll automatically be entered into a draw to win a fantastic three-night play and stay package for two at the world-renowned PGA Catalunya Resort in Spain, courtesy of Golfbreaks.com. 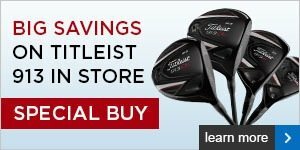 Book by 30 September 2014 and you could save up to £600 or receive a FREE TaylorMade SLDR S driver or fairway wood, only with my recommended travel partner Golfbreaks.com. It's the Early Birdie Giveaway and you'd be mad to miss it.